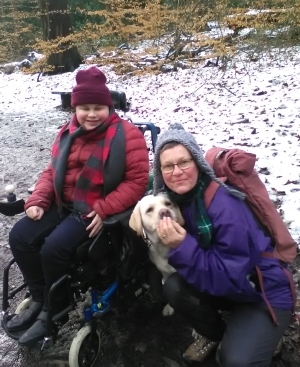 "Elsie has opened up a door for Isaac, to confidence, friendships, nature, and to happiness"
Elsie has impacted positively on Isaac’s language and communication skills. “When we take Elsie out, other people often come up and start to talk to Isaac about her. From these conversations, regular and easy to predict, Isaac has found his sociable nature and loves it! 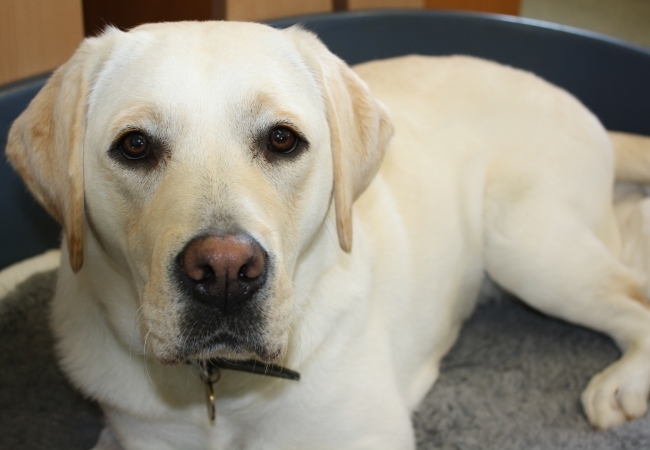 Assistance dog Elsie offers practical help with tasks like getting clothes out of drawers, picking things up, pulling off socks and gloves, fetching things, opening doors, and putting washing in the laundry basket. But to Isaac, she represents so much more.